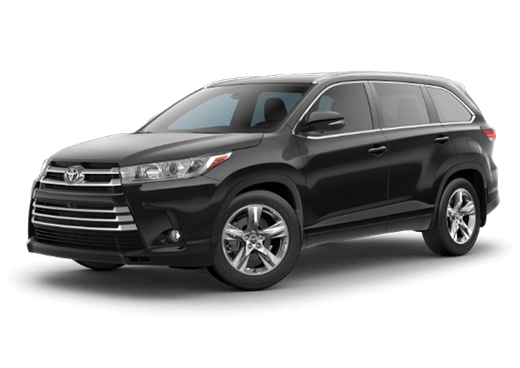 Amid the increasingly packed stable of mid-size crossover SUVs, the Toyota Highlander remains a standout. Its many standard safety features will give you peace of mind, while the easy maneuverability injects your drive with both fun and satisfaction. At the same time, you and your passengers will enjoy a near-luxury level of quiet and comfort in the classy interior. 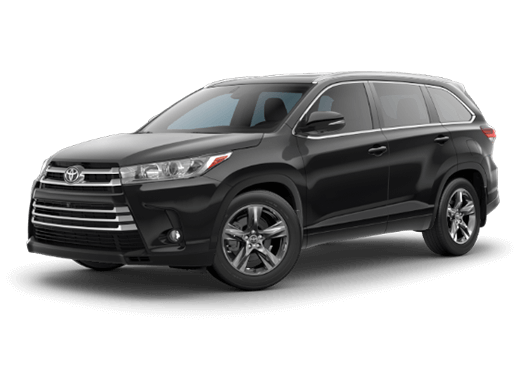 With seating room for up to 8 people, the 2019 Highlander is the perfect choice for transporting the whole family. Let’s look at the basics. 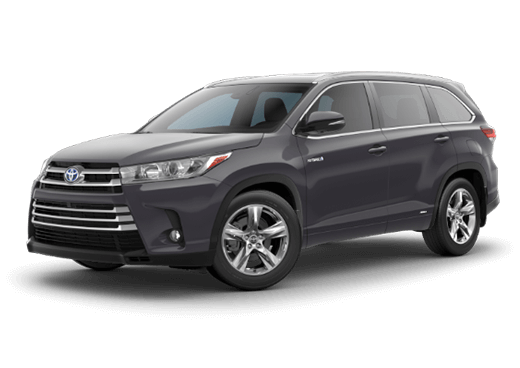 The starting MSRP for the 2019 Toyota Highlander is $31,330. For fuel economy, it gets up to 21 miles-per-gallon in the city and 27 on the highway – impressive for a vehicle of this size and strength. 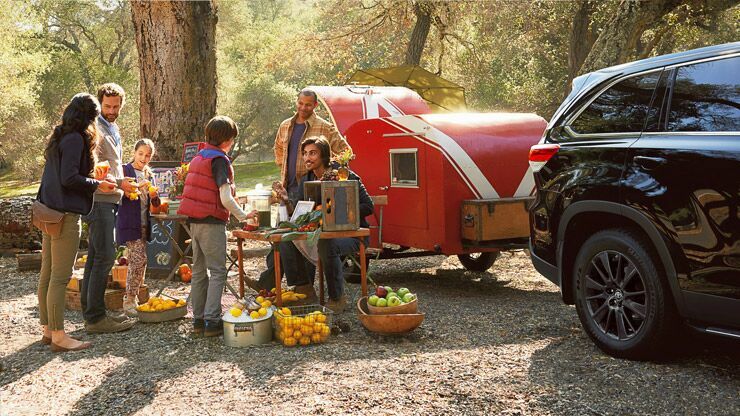 The towing capacity ranges from a capable 1,500 to 5,000 lbs based on your engine choice. The 2019 Highlander boasts a healthy cargo volume ranging from 13.6 to 13.8 cu.ft. with the seats up, and leaping up to a range of 78.6 to 83.6 cu. ft. with them down. Read below to see our highlights of the interior, power, and safety suite. 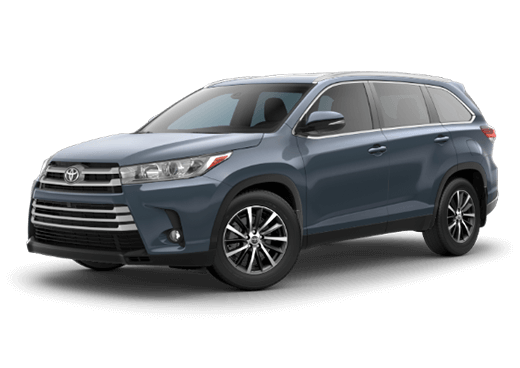 The standard Toyota Safety Sense™ system brings an assuring bundle of active safety features to the 2019 Toyota Highlander. 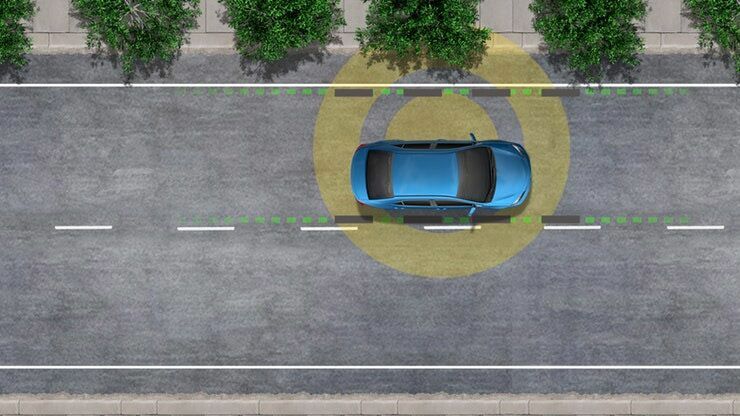 These include Lane Departure Alert with Steering Assist, Dynamic Radar Cruise Control, Pre-Collision System with Pedestrian Detection, and Automatic High Beams. Additional safety features include the Tire Pressure Monitor System, Star Safety System, advanced Airbag System, and more. 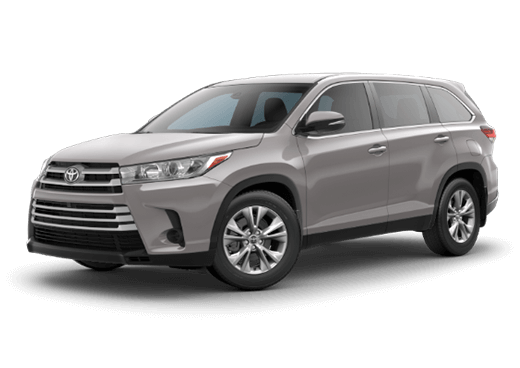 With such cutting-edge technology between your family and the outside world, the Highlander will have you enjoying fantastic peace-of-mind. With the available direct-injected 3.5-liter V6 engine, the 2019 Toyota Highlander will be able to tow up to 5,000 lbs and produce 295 horsepower. This engine comes mated with a Direct Shift-8AT 8-speed automatic transmission. 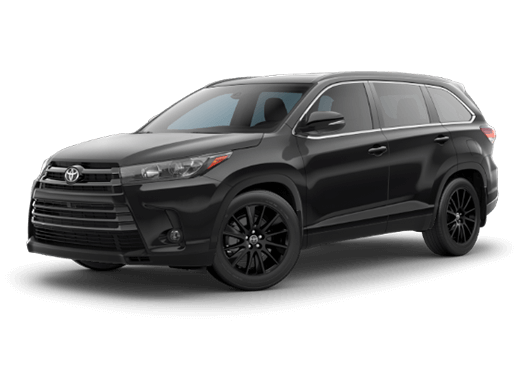 These next-generation technologies are powerful and efficient, allowing for brisk acceleration and more MPG when cruising. Thanks to such advancements, this vehicle also earns an Ultra Low Emission Vehicle II (ULEV-II) rating. Off-roading and hauling capabilities are enhanced with the available Dynamic Torque-Control All-Wheel Drive. 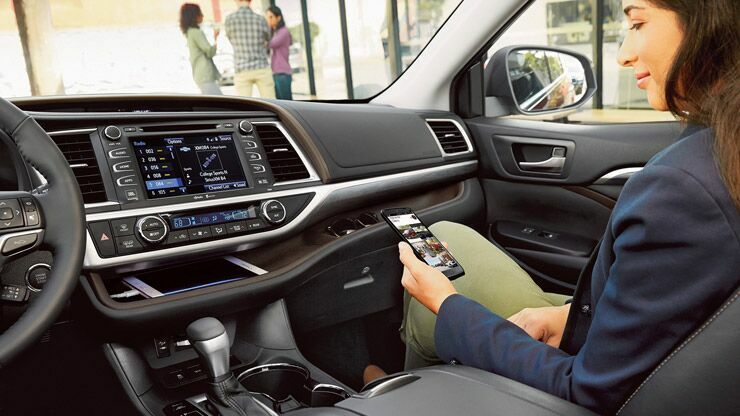 The interior of the 2019 Toyota Highlander is a great place to spend time- you’ll soon be finding excuses to take a drive. It boasts space for up to eight people, depending on your seat choice, and the comfortable, roomy seats will ensure everyone is happy. There are five USB ports so no device should go uncharged. Finally, the voluminous cargo room an SUV provides opens up a world of transportation possibilities.